Armadillo Dreams - makes Waldorf inspired high quality handmade wooden toys for kids of all ages . We are a husband/wife shop run by Dustin and Amanda Cowell in Redmond, Oregon. All of the handmade Waldorf toys we sell are made from natural materials, friendly for little hands and handcrafted with love! Check out their newly launched site! Artterro is all about creativity! Our eco art projects inspire you to create unique works of art. It’s easy when you’re using our beautiful, natural materials like wool felt, recycled handmade paper and more. 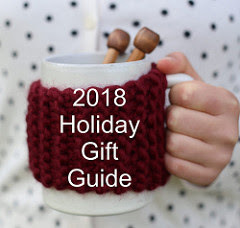 Adirondack Patterns and Handmade Babies sells not only Waldorf Inspired Dolls, but simple sewing, crochet, and knitting patterns that inspire creativity. Over 60 patterns including those on cloth diaper sewing, complete instructions for making several Waldorf style dolls and accessories, clothing tutorials, and accessories for little ones. Butterbean - Healthy sunscreen for little sprouts (our personal favorite!) and now offering organic lip balms and healthy herbal bug spray. Nature Girl Herbals - Natural and organic body care, with your body and the earth's health in mind. Buddha Hill - Buddha Hill makes a forest full of heirloom quality hand sewn playthings created one at a time from natural, sustainable materials. You will find Forest and Prairie Dolls, swans, hedgehogs, mice with hats and many other whimsical woodland creatures there. Shop owner Kathryn's mission is to encourage creative, peaceful play. She believes in making playthings that give children feelings of warmth, comfort, and happiness. Alphabet Glue - Alphabet Glue is a downloadable e-magazine for families who love books. Filled with activities, printables, projects, and plenty of inspiration, Alphabet Glue was created in hopes of helping more families to incorporate creativity, imagination and all things literary into their everyday routines. Each issue contains leveled book recommendations organized by theme, bookmaking tutorials, storybuilding activities, and hands-on projects that complement favorite titles in children’s literature. From stories to science experiments, Alphabet Glue has a little something for everyone. Lilla Rose - At Lilla Rose you will find unique, functional, and well-made hair jewelry. From beautiful hair sticks to the very simple-to-use Flexi Clip, there's something for every style and length of hair. Stay in touch with Lilla Rose Independent Consultant Joy Kincaid on Facebook to hear about the latest news and sales! The Puppenstube - The Puppenstube carries all of Waldorf doll maker extraordinaire Christine's handmade creations (like Waldorf dolls, gnomes, puppets, hand knit accessories for adults and children alike - just to name a few) as well as Heartwood Arts, Buntspechte, grain mills and more! Brambleberry Yarns - Beautiful, nature friendly dyed yarns and fibers. Located in the Pacific North West, (right here in Oregon!) shop owner Cynthia finds our breathtaking views and plants inspiring her yarns as well as finding their way into her dye pots. Luna Grey Fiber Arts - Jackie creates colorful, hand dyed, natural fiber yarn in her home studio on the western slopes of Colorado. Each skein is hand painted or kettle dyed making for truly one-of-a-kind works of art. Wooly Moss Roots - Wooly Moss Roots offers wooden buttons, wooly delights and herbal goodness. We provide high quality handmade wooden buttons in a variety of reclaimed woods, for knitters, sewers, and crafters. Mariposa Forest - Mariposa Forest, a world of imagination delivered to your mailbox. We send seasonal stories from the forest to your child by old fashioned snail mail. Their own special mail, delivered right to them. Sparkle Stories - Sparkle Stories produces weekly audio stories for children and families around the world. Our original Story Series follow the seasons, inspiring a sense of wonder and magic throughout the year. GLOB - GLOB specializes in botanically crafted paints made from fruits, vegetables, flowers and spices with natural food-grade ingredients and organic extracts. GLOB arts and crafts products are sourced from natural, recyclable and biodegradable materials. Frost Lane - Bret and Nadja Van der Stroom raise a few animals and six children on a couple of acres in Tennessee. Their Etsy shop, Frost Lane, features an eclectic mix of handmade items they enjoy making and using themselves. Simply Playing - Carries Waldorf inspired all natural plant dyed wool toys that bring out your child's imagination including crowns, garlands, and wands to assist in their journey. 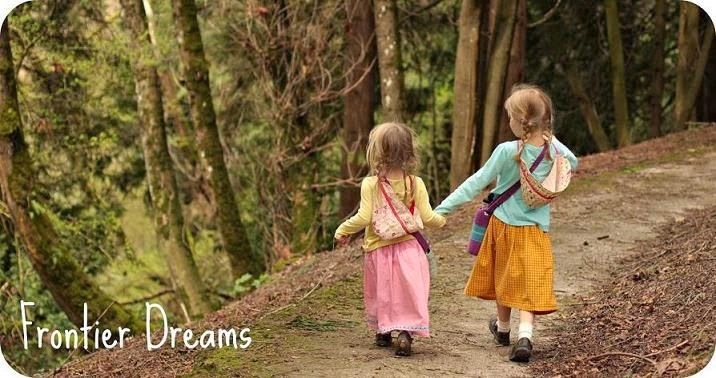 Spring Creek Store - Located in the Portland Waldorf School, the Spring Creek Store carries all your Waldorf needs from books and school/art supplies to handmade gifts and gently used consignment. I can honestly say, from the very bottom of my heart, just how very grateful my family and I are for the continued support of my sponsors and all of you who take the time to stop by and visit this space of mine. It means more than words could say. THANK YOU! !